I can’t tell you how many times I’ve heard the word “socialization”. When you walk down the street, do you say hi to everyone you see? Would you force a child to walk up to all people in public and start to talk to them? Who do you interact with out in the world? We interact mostly with people that we have relationships with. If I was walking down the street and I saw a friend of mine, I would absolutely stop and say hi and chat for a minute – maybe even give a hug. This is someone I am established with and with whom I have a history of interacting with. Let’s also assume that I actually like this person. If I see someone that I don’t know on the sidewalk, at the most I might say a quick hi as I pass – and it depends on where I am, my mood, and my “feel” for the other person. Did they smile at me and say hi first? Culturally, why do we chronically force dogs to say hi to other dogs that they don’t know? Dogs are socially very similar to us. They have relationships with other people and other dogs, and then anyone outside of their extended pack could actually be perceived as a threat. It just isn’t natural for dogs to say hi and be friendly with everyone, automatically. Some dogs do, but a lot of dogs don’t. When “socializing” a dog with people and other dogs, this should be done with individuals who are good communicators, themselves, and with whom the dog has a positive and constructive experience. If a dog is terribly afraid of the dog park, continually taking the dog to the dog park isn’t necessarily going to make the fear go away, if the dog just continues to be afraid…ESPECIALLY since every time you go to the dog park it’s a whole new set of dogs! For fun, would you like to go to a gymnasium full of complete strangers and stand there alone while the one person you came with is talking on the phone? I’ve worked with a lot of dogs who simply don’t enjoy the dog park, and have behavioral issues as a result. Sometimes the best solution is to just stop going. It’s not a good fit and that’s okay! Relationships are the key to socialization. Friends, family and neighbors who have nice dogs, that are able to communicate clearly and fairly, are the perfect dogs to socialize your dog with. The more the dogs get to know each other and develop a friendship, the better the relationship functions, just like people! This is particularly important in conflict resolution. 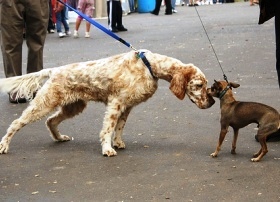 If one dog does something offensive to another dog, they are less likely to get into any sort of serious conflict because they have a connection established, understand each other’s style of communication and I would assert are more motivated to resolve the conflict without causing damage. Parents want to pick their children’s friends, and I recommend choosing your dog’s friends as much as possible. 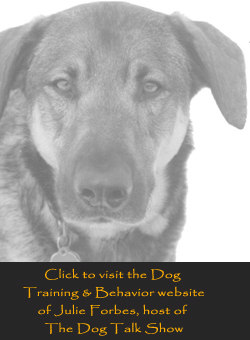 Let your dog interact with good communicators and that behavior is likely to rub off. 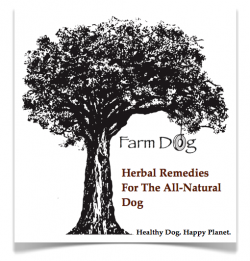 Set your dog up for success and that is what your dog will come to expect – positive and constructive interactions!